Who will salvage Punjab from pesticides, drugs and cancer? The controversy over sharing water with Haryana through Sutlej Yamuna Link is not the only issue that dominated pre-polls campaigning in Punjab. From being a frontrunner in agriculture since green revolution days to turning into a land of contaminated groundwater and lowering yield, Punjab’s descent has been steady. Not only the unemployment rate (16.6 per cent) among youth is higher than national average, the state is also losing young workforce to drugs. 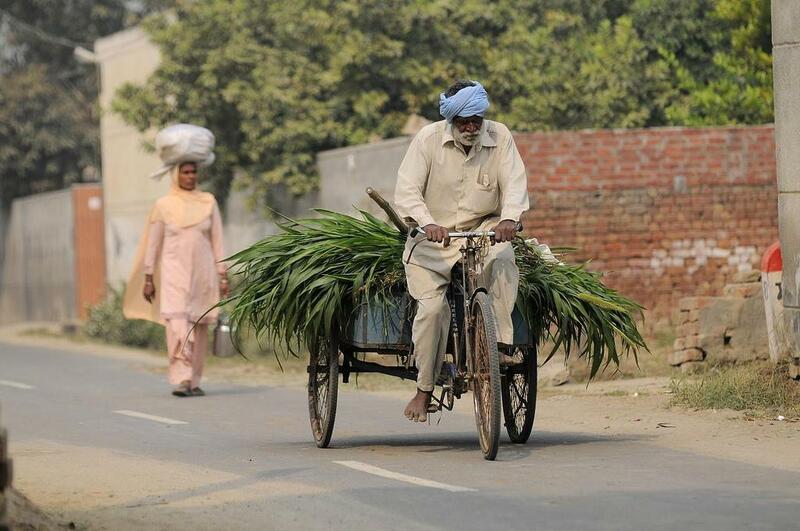 Farming is the largest occupation in Punjab with about 82.5 per cent land in the state used for agriculture. While the state took to heavily mechanised farming quite early, the agrarian input costs for farmers also increased drastically. Inability to exploit irrigation facilities and boost yields also made farmers entangled in a vicious debt cycle. The rate of agrarian growth declined over nine years, from 0.95 per cent in 2005-06 to (-) 3.40 per cent in 2014-15, according to the Punjab government data. Only big farmers with more than 50 acres of land can afford the rising costs, but the capacity of small and marginal farmers continues to decline. After Maharashtra, Punjab has the highest number of farmer suicides cases. In 2015, it reported 449 cases. According to a recent survey conducted by the state’s premier universities—Punjab Agricultural University (Ludhiana), Guru Nanak Dev University (Amritsar) and, Punjabi University (Patiala)—on the incidence of farmer suicides between April 2010 and March 2013, it has been revealed that at least 79 per cent of these suicide victims had less than five acres of land and 74 per cent of all farmer suicides were related to farm debt. Interestingly, over 80 per cent of those who committed suicide were cotton growers. Over the years, the cotton growers faced crop failures because of whitefly attack and poor remuneration in both domestic and international market. Most suicide cases were reported in Bathinda, Barnala, Faridkot, Ferozepur, Mansa, Muktsar and Sangrur districts. The rural indebtedness in Punjab has touched Rs 80,000 crore, with each rural household in the state having an average debt of Rs 800,000. Intensive farming has not only affected soil fertility but also created the need for a greater use of chemical fertilisers, which, in turn, contaminated the food chain and the environment. As Devinder Sharma, a researcher and commentator on agricultural policy and development, recently said in one of the columns, "Punjab needs to move away from the intensive cropping system it has been following since the days of Green Revolution and towards an ecologically sustainable farming system implemented in a time-bound manner." Depleting water table is a critical problem and paddy cultivation during summer explains the problem. A combination of other factors like groundwater irrigation and free power are allegedly sending wrong signals to farmers. A spate of drought years and inadequate rainfall left the river canals dry, forcing farmers to make unregulated use of bore wells (1.4 million exist already). Tube wells, too, are increasingly dug deeper to reach depleting water table. The water table reportedly declined by 0.7 metre per year from 2008 to 2012. Currently, 75 per cent of blocks in Punjab are declared "dark blocks" where water is over-exploited. Some parts of south-western Punjab have gone arid due to non availability of water. Villages in Bathinda and Fazilka districts are already complaining about water scarcity. With one kg of rice consuming 3,000-5,000 litres of irrigation water, some districts are in an urgent need of water. Paddy, in fact, has been the main reason for depleting water table as it needs 22-25 irrigations in a span of four months. Punjab was never a rice producing and consuming region. In 1960-61, paddy accounted for only six per cent of the cropped area, which increased to 69 per cent in 2012-13. The share of area under paddy in Kharif cereals increased from 33 per cent in 1961 to 96 per cent in 2013. In such a situation, government needs to incentivise technologies like direct seeding of rice and drip irrigation in rice and also offer cash reward to farmers for saving power, which will also help in checking water depletion. According to economist R S Ghuman, there is need to reduce the area under paddy or find less water consuming varieties of paddy. The seriousness of water shortage partly explains Punjab’s opposition to proposed Sutlej Yamuna Link—a 214-km-long canal that would connect Sutlej and Yamuna rivers, 122 km of which will be in Punjab and 92 km in Haryana. Captain Amarinder Singh recently argued that if Haryana is given 3.5 MAF (million acre feet) water for its SYL network, several districts of Punjab, especially Bathinda, Ferozepur, Mansa and Faridkot, will become completely dry. Moreover, canal water has been drying up with the area under irrigation declining from 58 per cent in 1960-61 to 27 per cent in 2014. 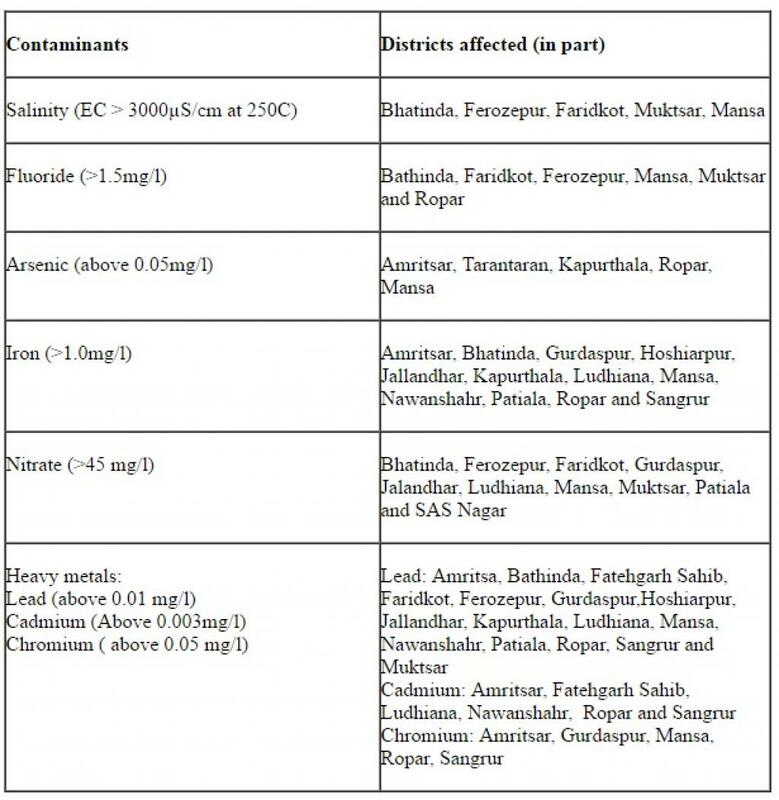 The rise in cancer cases in the region is attributed to indiscriminate use of agro-chemicals. According to a survey conducted by the government, cancer claimed 33,318 lives in the state between 2008 and 2012, out of which 14,682 were in the Malwa region alone. Research has revealed that the soil in this belt is high in Persistent Organic Pollutants (POPs), nitrates, phosphates and uranium, which gradually make way to agricultural produce. The report, released in 2013, stated that the Muktsar district in Malwa region witnessed 136 cancer cases per 100,000—the highest in Punjab. Mansa district came a close second with 134.8 cases per 100,000 and Bathinda third with 125.8 cases. Interestingly, underground water in Muktsar district is unfit for human consumption. According to the 2015 Punjab Opioid Dependence Survey conducted by researchers from the All India Institute of Medical Sciences (AIIMS) and the Society of Promotion of Youth and Masses, there are nearly 230,000 opioid dependents and 860,000 opioid users in the state. The survey found that 99 per cent of opioid dependents are male, 54 per cent are married and 55 per cent are addicted to heroin. Another study found that 73.5 per cent of drug addicts are aged between 16 and 35. The opioid dependents spent Rs 1,400 per day on drugs or an estimated Rs 7,575 crore statewide every year. Many farmers with holdings between two and three acres reportedly work as drug-runners. It is believed that better health, education and employment facilities in the border districts such as Gurdaspur, Amritsar and Ferozepur would prevent people from smuggling drugs.